IATH Director Bernard Frischer announced that the Institute for Museum and Library Services (IMLS) has given IATH and the Colonial Williamsburg Foundation a three-year grant of $943,000 to start "Virtual Williamsburg," a 3D model of the city as it appeared during the eighteenth century. The overall project has three goals: (1) the make a state digital model showing the way the site looks today; (2) to make a corrected digital model that changes the state model to reflect the current thinking of the archaeologists and architectural historians of the Colonial Williamsburg Foundation; and (3) to make a temporal model that shows how the town developed from its founding in the 1690s until the transfer of the capital to Richmond in 1780. "Virtual Williamsburg" received a planning grant in 2006-2007 from the Andrew W. Mellon Foundation. The new IMLS grant will kick off implementation of this long-term project by funding creation of models of the area around the Capitol and along the eastern end of Duke of Gloucester Street. For "Virtual Williamsburg" in the news, see Media Newswire, The Cavalier Daily, or this related story. IATH Fellow Deborah Parker's World of Dante project has been added to EDSITEment's list of peer-reviewed recommended educational web sites and lesson plans. EDSITEment, a partnership between the National Endowment for the Humanities, the Verizon Foundation, and the National Trust for the Humanities, receives several hundred nominations each year. Of this list, several dozen finalists are reviewed for intellectual quality and website design and impact. EDSITEment-linked sites cover a range of humanities subjects and are judged by humanities specialists to be of high intellectual quality and useful to parents, teachers, and students. Other IATH sites that appear on the EDSITEment list are Salem Witch Trials, Uncle Tom's Cabin and American Culture, The William Blake Archive, and The Pompeii Forum Project. The Walt Whitman Archive, which began at IATH and is now housed at the University of Nebraska, Lincoln, was also recently added. See EDSITEment for a full list of educational web sites. Rome Reborn, a 3D virtual reality project centered around the city of ancient Rome, released version 2.0 at SIGGRAPH 2008 in August in Los Angeles. The project was one of several cutting-edge New Tech Demos, intended to demonstrate how research into the past invigorates the future of computer graphics and interactive techniques. It is one of the largest virtual reconstruction, cultural heritage, and digital archaeology project to date, and relies on an international collaboration designed to create an interactive 3D digital model that illustrates the urban development of ancient Rome. Bernard Frischer, director of IATH, is the project director. Version 2.0 allowed visitors to the exhibit to explore the ancient city landscape and its numerous buildings and immerse themselves in the reconstructed 3D models of ancient Roman architecture in real-time over an internet connection. 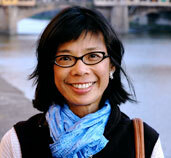 The IATH Fellow Deborah Parker has been awarded the NEH Daniels Family Distinguished Teaching Professorship, 2008-2011. This is a three-year endowed chair, given to senior humanities faculty at the University of Virginia. It recognizes and rewards excellence in teaching and encourages development of projects that share unique faculty knowledge and expertise. During the term of the fellowship, Prof. Parker will undertake a number activities related to her IATH project, the World of Dante. She will assess the effectiveness of the teaching materials generated by the November 2007 World of Dante Workshop in conjunction with a group teachers working in different disciplines at UVA and other institutions; identify ways in which visual material enhances reading comprehension; create new materials to clarify the astronomical allusions in the Comedy; and at the end of the grant period she will organize a symposium for the group of teachers who have used the site, each of whom will give presentations on their use of The World of Dante. The program is funded by a National Endowment for the Humanities Special Challenge Grant and is run by the University of Virginia Teaching Resource Center. Visit their site for more information on the NEH Distinguished Teaching Professorship at the University of Virginia. ACERA is charged with advising the Archivist of the United States on technical, mission, and service issues related to the Electronic Records Archive (ERA) system. This includes, but is not limited to, advising and making recommendations on issues related to the development, implementation, and use of the ERA system. "The digital age presents daunting challenges to the access and preservation of the records of the U.S. Government," Pitti commented. "The purpose of a national archive in democratic societies is to preserve for use the records that are legally and historically vital to transparent and accountable governance. The advent of digital communication and electronic records has created technical, social, legal, and ethical challenges to fulfilling this mandated mission." The electronic records challenge is formidable, Weinstein says, but as an agency, NARA is committed to addressing this challenge head-on. "NARA's vision is to create a system that will authentically preserve and provide access to any kind of electronic record, free from dependency on any specific hardware or software, enabling NARA to carry out its mission into the future." IATH was established in 1992 to revolutionize the role of technology in humanities research and humanities education. Its mission is to explore ways that information technologies and digital media can be integrated into humanities scholarship. IATH has achieved an international reputation as a leader in the field of humanities computing, and its fellows have won several prestigious awards, including the first Lincoln Award for Electronic Media; the Mellon Foundation Distinguished Achievement Award; and the Richard W. Lyman Award from the National Humanities Center. For more on IATH, visit its web site at http://jefferson.village.virginia.edu/. The mission of the Institute for Advanced Technology in the Humanities (IATH) is to explore and expand the potential of information technology as a tool for humanities research. To that end, we offer a Fellowship Program to UVA faculty to support two distinct areas of research: (1) the development of tools, scholarly resources, or scholarly projects utilizing digital technology for analysis, investigation, modeling or other research activities; and (2) the study of the nature, ethics, history, or future of digital technology as applied to some aspect of the humanities. Download more about the Fellowship Program here: [ Word Doc | PDF ] Applications for fellowships in the 2008-2009 academic year are due by March 1, 2008. "The World of Dante," with funding from The Gladys Krieble Delmas Foundation, will add music to Italian professor Deborah W. Parker's Dante research project. A selected few individuals from the musical group Zephyrus, under the direction of Paul M. Walker, associate professor of music, recorded approximately 20 musical pieces for the project. The recordings for the Dante project are of chants or monophonic sacred music. Chant encompasses all types of music, including psalms and hymns, and are distinguished not by genre, but by musical texture, since they consist of only one line of music. "The recordings by Zephyrus will help readers understand the very different dynamics that prevail in the realm of the saved," said Parker. Since most people pay little attention to the musical references in Dante, the recordings "will allow readers to appreciate the care and precision with which Dante makes musical references," she added. [Read Full Article] Article originally appears in UVa Today. Bernard Frischer, director of the "Rome Reborn" project and director of the Institute for Advanced Technology in the Humanities at the University of Virginia, stated, "'Rome Reborn 1.0' is the continuation of five centuries of research by scholars, architects and artists since the Renaissance who have attempted to restore the ruins of the ancient city with words, maps and images. "Rome Reborn 1.0" is a true 3D model that runs in real time. Users can navigate through the model with complete freedom, moving up, down, left and right at will. They can enter important public buildings such as the Roman Senate House, the Colosseum, or the Temple of Venus and Rome, the ancient city's largest place of worship. Read More or go to UVa Today | Visit "Rome Reborn"
Image caption: Long shot of the new digital model of Rome in which many of the city's 7,000 buildings can be seen. In the foreground is the spur of the Claudian aqueduct bringing water to the imperial palace on the Palatine Hill. Just behind the aqueduct, in the middle, is the Temple of the Divine Claudius on the Caelian Hill. In the middle ground, center, is the Flavian Amphitheater (also known as the Colosseum). To the right is the Ludus Magnus, a training facility for the gladiators who fought in the nearby amphitheater, to which it was linked by a (still extant) tunnel. To the left is the Temple of Venus and Rome, the largest temple of the state cult in the city. Next to it is seen the Basilica of Maxentius, the last civic building constructed in the ancient city. Behind the Flavian Amphitheater is the Bath of Trajan on the Oppian Hill. Copyright of The Regents of the University of California 2007. Click image to see full view. IATH Director Bernard Frischer is pleased to announce that the Institute's application to the National Endowment for the Humanities for a challenge grant has been approved. The grant, which totals $3.0 million, will enable IATH to create an endowment fund in support of its cyberinfrastructure. The term "cyberinfrastructure" refers to research environments in which high-performance computing tools are made available to researchers in a shared network environment. The term is recent, but the need for institutional-level commitment to providing and supporting cyberinfrastructure for humanities computing scholars has become apparent within the last few years. Frischer said, "We are delighted and honored to have been chosen by the NEH for this challenge grant. The grant comes at an opportune time when IATH is in the early stages of its $15 million capital campaign. Being selected by the NEH in a rigorous, peer-reviewed process puts the 'Good Housekeeping seal of approval' on our central campaign goal of building IATH's human and material resources through new endowment funds." Attendees of the The Williamsburg Playhouse of 1760 and the World of 18th-Century Theater Confernce were shown a "virtual reconstruction" of the 1760 theater. 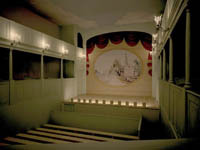 The computer-based architectual reconstruction of the theater is a collaborative effort teaming IATH and the Colonial Williamsburg Foundation. "We designed everything on computer," Mr. Graham [Colonial Williamsburg Foundation] said, "down to the nails." Plans for an actual full-scale reconstruction remain on the table. Want more info? Read the full article. ACLS Humanities E-Book and The Institute for Advanced Technology in the Humanities of the University of Virginia are happy to announce their new partnership aimed at producing, hosting, and distributing new born-digital scholarship in the humanities.The first fruits of their alliance, The Horace Villa Project and Beyond Illustration. The partnership relies on the strenghts of each organization. IATH's ground-breaking collaborations joins with HEB's modular workflows, sustainability, and widespread recognition. Bernard Frischer, IATH Director says "this is more than a natural alliance between a digital production unit and a digital distributor. IATH's relationship with HEB is a crucial step forward in making innovative digital scholarship sustainable and as normal a feature of the academic landscape as print publication has long been." Bernard Frischer University of California Press, 1982. Print. ACLS Humanities E-Book, 2006. E-Book. This XML edition uses new archaeological and visual evidence that substantially vindicates Frischer's original thesis that the Epicureans used the visual arts as markers and visible symbols of their philosophical approach. High-resolution image viewing and new 3D virtual reconstructions advance the possibilities for digital scholarship. Created by Italian professor Deborah Parker while a fellow with the University's Institute for Advanced Technologies in the Humanities, this Web site brings Dante Alighieri's "Divine Comedy" to life through hundreds of images that are accessible through tagged text (in both Italian and English). A grant from teh National Endowment for the Humanities will allow Parker to expand the site to include Dante's "Purgatory" and "Paradise." On July 27, 2006, IATH and the Colonial Williamsburg Foundation began a project to capture high-resolution 3D data from the entire town of Williamsburg, Virginia. Williamsburg served as Virginia's capital from 1699 to 1780. In the 1920s, large tracts of the areas surviving from the colonial period were purchased and restored to their original appearance. The goals of the Virtual Williamsburg project are to create a state 3D model of the entire area of Colonial Williamsburg, including the roads and public spaces as well as the exteriors, interiors, and furnishings of the buildings; to correct physical restorations made in the twentieth century that architectural historians of the Colonial Williamsburg Foundation consider to be erroneous; and to create a temporal 3D model showing how the town developed from its origins to the end of the eighteenth century. The overall project is expected to last seven to ten years. In 2006-7, thanks to a generous planning grant from the Andrew W. Mellon Foundation, the partners are engaged in planning activities and creation of a trial 3D model of the Douglass Theater near the Capitol. The National Endowment for the Humanities (NEH) has awarded a grant of $184,060 to Deborah Parker, Professor of Italian Language and Literature, to extend her electronic teaching resource on Dante's Divine Comedy, The World of Dante. This multi-media website is an educational tool intended to deepen students understanding of Dante's remarkable visual imagination. While many of Dante's comparisons are readily accessible, some depend on knowledge of places or structures in Italy that few readers have seen. The World of Dante currently includes the Italian text of the Inferno, an English translation, illustrations and other visual material for every canto and a scalable map of Hell. The project helps students visualize and understand Dante's remarkable journey through the afterlife. For the past eight years, educators and students at other institutions of higher education and at the secondary school level have benefited from the site. The grant from the NEH Division of Education will allow Professor Parker to add the Italian text and English translation of Purgatory and Paradise, illustrations to these canticles by Sandro Botticelli John Flaxman, Gustave Doré and other artists, a three dimensional virtual reality map of Hell based on Botticelli's design, a map of Dante's Italy, and photographs of sites and monuments mentioned in the poem. NEH has also offered an additional $10,000 award if the project can raise $10,000 in matching funds from the private sector. The Institute for Advanced Technology in the Humanities is pleased to announce The Walt Whitman Archive has been selected as the recipient of the Society of American Archivists' 2006 C.F. W. Coker Award. The Walt Whitman Archive provides searchable, browse-able, and comprehensible guide using Encoded Archival Description for item-level description of cross-institutional manuscripts of this significant American poet. The guide may serve as a model for future scholar-librarian-archivist collaborations developing finding aids of cross-institutional holdings. The Coker Award recognizes finding aids, finding aid systems, projects that involve innovative development in archival description, or descriptive tools that enable archivists to produce more effective finding aids. To merit consideration for the award, nominees must in some significant way, set national standards, represent a model for archival description, or otherwise have a substantial impact on national descriptive practice. The Institute for Advanced Technology in the Humanities sponsored a few lectures on various innovations and practices in digital humanities. The subjects range from digital panoramic photography to developing tools for humanist scholars. Check out the full list of IATH Lectures. Ian Johnson, Director Archaeological Computing Laboratory & TimeMap Project Senior Research Fellow, Archaeology University of Sydney, visited IATH to present, Building a Collaborative Knowledge Space for Humanist Scholars. His talk covered two tools for Humanist scholars - Heurist and T1000 - which we have been developing as part of a Collaborative KnowledgeSpace (CKS) project for the Sydney Humanities and Social Sciences e-Research Initiative (SHSSERI). [More information] on this interesting talk. The Lives of Saints: The Medieval French Hagiography Project is featured in Oscar... "Amy Ogden is on a quest, searching for stories from the middle ages, sagas written in old French on parchment - some illuminated with gold, gorgeous manuscripts that would cost a herd of sheep to produce, others more utilitarian, rough volumes copied by individuals who were nearly illiterate but deeply devoted to God. Ogden is looking for Lives of saints." Read the whole story Photo by Jack Mellott. National Endowment for the Humanities has awarded both Prof. Bernie Frischer and Katherine Rinne a Collaborative Research Grant for the Aquae Urbis Romae: The Waters of the City of Rome project. The grant will allow the project to begin adding GIS data and expanding a freely accessible and fully interactive inventory of Roman hydraulic infrastructure from the early modern period. Aquae Urbis Romae: The Waters of the City of Rome addresses issues related to the history of Roman water infrastructure and urban development over a 2,700-year period. It is a truly interdisciplinary interactive, web-based cartographic archive of original research and historic materials that brings together data from archaeology, urban history, geography, classics, and the history of technology in order to address specific questions about Rome's urban development and more wide-ranging issues about water and urban development. The project systematically incorporates archeological, archival, literary, and epigraphic evidence in original chronological and thematic topographic maps of Rome. Thanks to a generous grant from the National Endowment for the Humanities, IATH resources will now be applied to a new area of humanistic concern: documenting and preserving the world's endangered languages. IATH technical staff will support the Arapesh Grammar and Digital Language Archive project directed by Lise Dobrin of UVA's Department of Anthropology, along with UVA digital media expert English Professor David Golumbia and IATH text encoding specialist Daniel Pitti. The project will create a rich digital repository of sound recordings, text, and grammatical information about the endangered Arapesh family of languages, which are known to linguistic science for their unusual sound-based noun classification and agreement systems. Traditionally spoken by people living along the New Guinea north coast, in many villages Arapesh is no longer being learned by children, who grow up speaking the local lingua franca Tok Pisin instead. In addition to ensuring that Arapesh is preserved in a robust form for future generations, the Digital Language Archive will serve as a research tool for the other part of Dobrin's project, producing a written grammar of Arapesh focusing on the Cemaun dialect. A multilingual, multimedia web site will also be developed to provide the public with an accessible resource on this remarkable group of languages. Click image for closer view and to hear sound recording. The Walt Whitman Archive is celebrating the 150 year anniversary of the publication of "Leaves of Grass" by sharing the exciting works of the archive with the world. The May 30 issue of Newsweek, in "Time to Celebrate," recommends the Walt Whitman Archive to its readers (p.78). See the Newsweek article online. The celebration continued on July 4th, interviews with Archive editors Ed Folsom and Kenneth M. Price were featured in two separate NPR programs, Talk of the Nation and Day to Day. Both are available online. The first story is entitled "Celebrating Walt Whitman and 'Leaves of Grass'" and the second is 'Leaves of Grass' Published 150 Years Ago." The William Blake Archive has been designated an Approved Edition by the Modern Language Association. This is the first time the organization has awarded its "seal" to an electronic edition. The MLA's Committee on Scholarly Editions has been fostering rigorous editorial standards for printed editions since 1976. David V. Erdman's Complete Poetry and Prose of William Blake received the MLA seal in 1981. The Committee's guidelines for electronic editions were first published in 2004 as part of a major revision of the Committee's editorial guidelines (http://www.mla.org/cse_guidelines; see also Burnard, O'Keefe, and Unsworth, Electronic Textual Editing, MLA/TEI, forthcoming 2006). Previously, the Archive was the 2002-2003 recipient of the MLA's Prize for a Distinguished Scholarly Edition. The Andrew W. Mellon Foundation has given IATH and its partner, the UCLA Center for Medieval and Renaissance Studies, a three-year grant of over $1 million to create an online resource for the study of the famous Monastic Building Plan of St. Gall. The plan, drawn on five pieces of vellum stitched together, dates to the 820s AD and is the oldest architectural plan surviving in Europe. The monastery laid out in the manuscript contained over 50 individual buildings and features as well as 342 explanatory inscriptions, partly in prose and partly in verse. The purpose of the project is to make the Plan and scholarship about it more accessible to students and scholars. Principal investigator is UCLA History Professor Patrick Geary; co-principal investigator is IATH Director Bernard Frischer. The project will be advised by a distinguished international team of scholars from the University of Vienna, the Courtauld Institute in London, the University of Southern California, and the Monastic Library of St. Gall in Switzerland. IATH and the Carl H. and Martha S. Lindner Center for Art History are conducting an International Workshop October 10 and 11th for leading experts on Leonardo Da Vinci to review plans for development of an electronic archive of Leonardo's Treatise on Painting. Directed by Art History Professor Francesca Fiorani, the project will be the first, systematic study of the many manuscripts of the Treatise, which was crucial for disseminating Leonardo's theory of art. The goal of the workshop is to present the project to a select group of major scholars for their review and evaluation, and to encourage their active collaboration and support of the project. The resulting report will be used to refine plans and solicit funds for the complete development of the virtual archive. This workshop will also enable the Leonardo Project to define the terms of a working relationship with the famous Elmer Belt Library of Vinciana at UCLA. The Belt Library is one of the world's leading repositories of materials useful for the study of the works associated with Leonardo, including the Treatise on Painting. The first day of the workshop will feature presentations from the Leonardo scholars, and the general university community is invited to attend. It will be held at the Harrison Institute, Byrd Seminar Room 318. Summit Objective: Digital tools and the underlying cyber infrastructure expand the opportunities for humanistic scholarship and education. They enable new and innovative approaches to humanistic scholarship. They provide scholars and students deeper and more sophisticated access to cultural materials, thus changing how material can be taught and experienced. They facilitate new forms of collaboration of all those who touch the digital representation of the human record. In February, 2005 the Institute for Advanced Technology in the Humanities (IATH) announced creation of the Virginia Digital Collaboratorium, which will open its doors in late 2005. The Collaboratorium will be located in the Emerging Technology Building at the University's North Fork Research Park in over 2,700 square feet of new office space. "The Collaboratorium will not only be an attractive space in which to work, it will also be an attractor of new industry to the Charlottesville area and a vehicle for strengthening ties between the University and the IT community already based in central Virginia," stated IATH Director Bernard Frischer. Anselmo Canfora, Assistant Professor of Architecture, will assist in efforts to design the furniture and layouts for the work areas in the Virginia Digital Collaboratorium. The University's Institute for Advanced Technology in the Humanities (IATH) has awarded its 2004-2006 Fellowship to Francesca Fiorani, Assistant Professor of Art History, based on the strength of her proposed project, "Leonardo Da Vinci and his Treatise on Painting." With the resources provided through the IATH Fellowship, including IATH staff, space and computers, Professor Fiorani will create a thematic collection of digital materials derived from the various editions of Leonardo's Treatise. From the mid-sixteenth to the late eighteenth centuries these editions were the primary source for Leonardo's artistic theories. The resulting thematic collection will provide a foundation for comparative studies among these editions. One of the technical challenges of the project will be to design the information structures to allow access to the complex interrelationships between text, image and artistic process that are required by Leonardo's exposition of his theories. IATH has awarded, an Associate Fellowship to Amy Ogden, Assistant Professor of French, for her proposed "Lives of the Saints: The Medieval French Hagiography Project." Professor Ogden's project will build an electronic collection of textual and material information about saints' narratives in Old French and the manuscripts that preserve them. IATH staff will consult with Professor Ogden on how to present the multi-dimensionality of these texts in ways that will invite scholars to rethink not only the nature and importance of this key medieval genre, but also, more generally, issues of medieval textuality. The Vice President and Provost has appointed Bernard Frischer as the new Director of UVA's Institute for Advanced Technology in the Humanities, beginning in the Fall term 2004. He will also join the faculty as Professor of Classics and Art History. "It is an honor and challenge to be chosen to succeed John Unsworth, the first Director of IATH," says Frischer. "Under John's leadership, IATH established itself as the premier research center in the United States for digital humanities. It is my hope to build on the achievements of the past by helping to make digital humanities a sustainable and integral approach to humanistic research both at Virginia and at other major universities around the world.